What headphones/speakers do you use and why? Rob, I have a counter question for you: what would you do with this knowledge? Let’s say, I’ll told you that I’m using a Super-duper monitors by SomeAmazingBrand. Now what, you’ll want to get one of these? You see, there is a catch: audio equipment sound very differently in different circumstances and environment. Room shape, acoustic treatment, sound card, cables, and even monitors vertical position relative to the ears, among other factors, affects our perception of sound. If you would like to buy speakers, I suggest doing a research. Start off with the price range, then see what manufacturers are reliable and trustworthy, then read more about specific models, their type, power, and size. Hint: for a typical home studio, you’d need near-field monitors with the size of the speaker no more than 8 inches. But in case you’re just curious what speakers I have, the answer will be pretty boring. 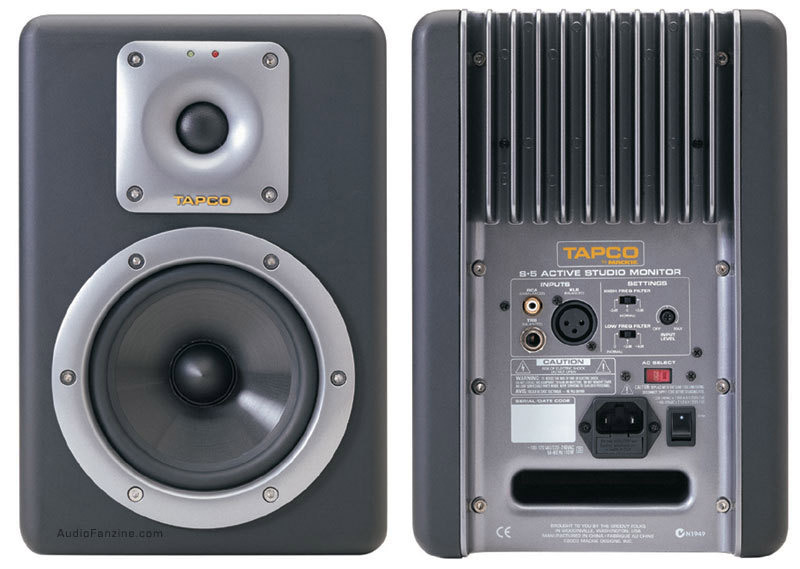 For the last seven years I’m using low-cost active near-field monitors Tapco S5 by Mackie. It’s not what I would want to use, but rather something that I can use at the moment. I intend to upgrade the monitors in the foreseen future in a favor for some higher grade. Fellow producers! What speakers do you use and why? Hey Daniel! I am thinking about music production and I was wondering what you’d advise to start off with? What kind of basic equipment and pieces of gear should I get for a home studio? And how much it costs? These questions are very basic, thus very important. And I’ll try to answer them. 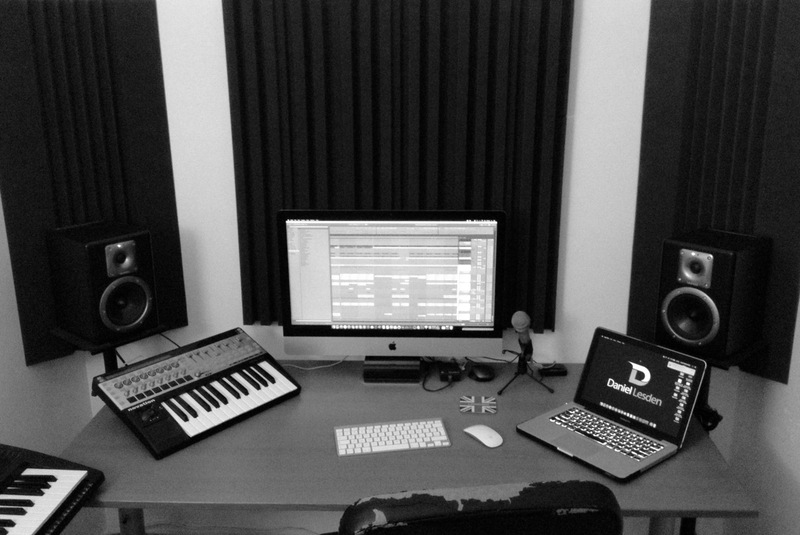 You need a studio to produce music. Imagine a huge console with hundreds of faders, knobs, and buttons. Imagined? Well, that is what you don’t need. It might sound surprising, but first thing off, I advise you to buy a desk. Seriously. A wide, long and reliable table where you can work comfortably. At the beginning of my career, I had a desk 60 cm wide (approximately, it is the width between the elbows while typing), so take my word. The size depends on available space in your room, of course, but something about 160 cm wide and 80 cm long would be quite enough. Also, it’s matter from the psychological point of view — this will be your workplace. Set a proper mindset to aim for productivity. The heart of the production ecosystem is obviously a computer. Don’t ask me “Mac or PC”, as in this case it wouldn’t be fair — I’m on a Mac side. Although I know many successful music producers from both camps, so buy a Mac it’s fully up to you. Speaking of configurations, I’ll say an aphorism: “We are not so rich to buy cheap things”. I advise you to buy a computer with maximum parameters in order not to change it in a year when it starts freezing. When choosing a computer, I recommend you to focus on the following three parameters: SSD, CPU, and RAM. These things directly affect the music production performance. “A laptop or a desktop” is one more controversial topic. Laptops seem to be attractive: they are mobile and almost of the same performance. Earlier I used to think that I would have to buy a laptop for my gigs anyway, that’s why it would be better to buy it at once, not a desktop computer. It seems to be quite logical. But actually, it is not really like this. Here’s why. By the moment you get gigs, your laptop will be out-of-date already. You will be able to afford a more powerful model later, and probably even cheaper. Another topic is the size of the screen. 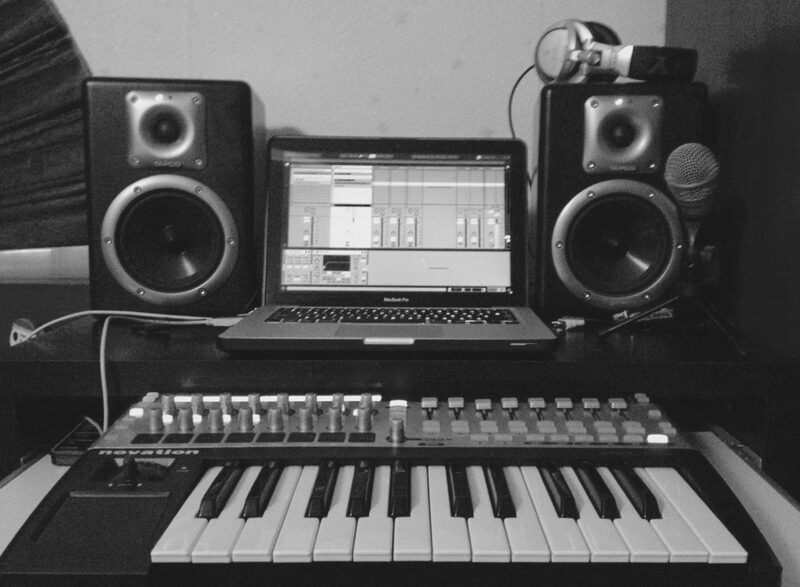 For the first two years of my career I had worked on a 13-inch laptop and even produced tracks successfully. Later, I’ve bought a 27-inch desktop and realized: whatever people say, the size does matter. With a large screen, the work is done faster and more efficiently, especially when you have hundreds of channels. If you are going to buy a computer and hesitate which to choose, then buy a desktop. “Headphones or monitors” is yet another controversial topic. I recommend using headphones for the late stage of production when you need attention to small details and balance polishing. If you can’t afford both headphones and monitors, buy only monitors then. But don’t rush to get one of the top models, like Focal Twin6 for instance. To make such monitors really shine, they have to be used in perfect conditions: a proper geometry of the room, acoustic treatment, and high-quality sound card. If you miss any of these, you probably won’t hear the difference. Start with some budget model with a price range of $400~600 for a pair. In fact, I’m still using budget monitors, too! I won’t recommend specific models, after all do some research — there are plenty of good reviews out there. But here are some brands to keep an eye on: Adam, KRK, Yamaha, Mackie, Focal. Sound card is a must-have intermediate layer between your computer and monitors. But the potential of top quality sound cards can be achieved only through the top monitors, which in turn, depend on the surrounding conditions very much as said above. So basically sound card and monitors should work in tandem: it’s not worth buying a $1000 sound card while using $200 monitors, same as a $50 sound card if you have $1000 monitors. You can get pretty decent sound card in a price range of $200~300, you’ll be fine with it for at least a few years for sure. You can laugh aloud, but I’m still using a $99 card. Actually, that’s a number one in change list for my studio setup. To be clear: analog and digital synthesizers/plugins have no difference in terms of sound quality. Period. They sound differently for sure, but the quality is not a question for today’s digital synthesizers. I am the software guy and I believe it has advantages over physical equipment for the following reasons: its distribution method (digital downloads), free space in your room, and usually price. My biggest advice on equipment, whether you’d chose – analog or digital, – would be the following: don’t rush on quantity, less is more. You don’t need hundreds of plugins to make a good track. In fact, most of my tracks are made literally with just two-three 3rd party plugins, sometimes even with just a single one — the rest are built-in DAW devices. Perhaps, your DAW has everything built-in, too, so don’t you have to buy any 3rd party plugin at all? 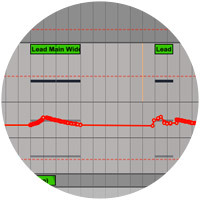 Think about it in this way: “what am I trying to achieve with this particular track or sound?”. Let’s say, you want to make a Psytrance bassline. Maybe you already have all necessary tools to make that? I believe that in-depth knowledge about a single plugin and its usage nearly at 100% of its potential is much better than having 10 synths and use them only at 10%. It’s more effective and cheaper after all. Here are a few software companies I’d like to highlight: U-He, Reveal Sound, FabFilter, Xfer, iZotope, Spectrasonics, Rob Papen, Cableguys, Native Instruments. The list could be continued much more, but I recommend only the ones which I tried myself and was satisfied with. They all do great products for music productions, whatever it’s synths or effects. Make sure to try before buying: most plugins are available in a trial version, thus you can be sure if it fits your needs. Actually, this is one more benefit of digital software over analog. 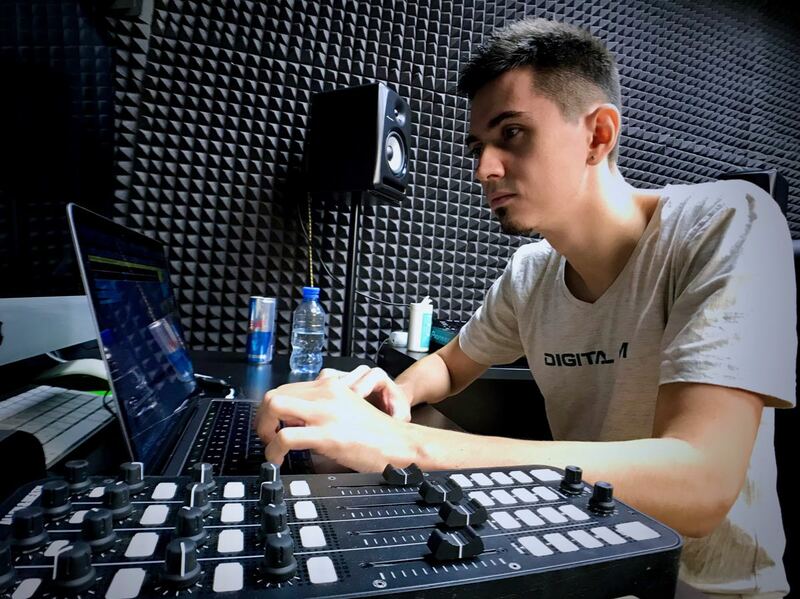 Few more things that are not really necessary, but which can improve your production experience dramatically: midi-controller and monitor stands. Midi-keyboard/controller is the device which can control almost any parameter of your DAW, synths or other plugins through midi-mapping. It is much easier and pleasant to record an automation curves by touching the knobs on a physical device rather than moving a mouse cursor. You can focus more on the process itself rather than think how to do this process. It makes a huge difference for melodies composing and sound tweaking. Today’s market offers a big variety of different controllers, but don’t fall into this trap: not every controller is good for productions; some of them are made to focus on a live performance, which is not our case. Also, controllers have a various amount of different knobs, faders, keys and other stuff. I’d recommend getting a device with at least 25 keys (49 better), rotary encoders and pitch control. Stuff you probably won’t need: 61 keys (unless you have a classic musical background), drum pads and faders, although the last one could be pretty useful. Keep that in mind. As for monitor stands, the point is to make speaker’s tweeters on the same level with your ears. Usually, they are about 20-30 cm lower if your monitors just stand on the surface of the table, unless your own height is 1,5 meters. Monitor stands is the best way to elevate them, although you can even use books for this purpose. Once you do this, your entire perception of sound will be different. Notes: for «desk» and «computer» I’ve written none only assuming that you already have good ones. The cost mentioned in «3rd party plugins» is based on average prices of a 2-4 synths or effects that you’d probably want to get. All numbers are pretty rough estimate and may vary depending on the region, but it’s pretty fine enough to understand the picture. 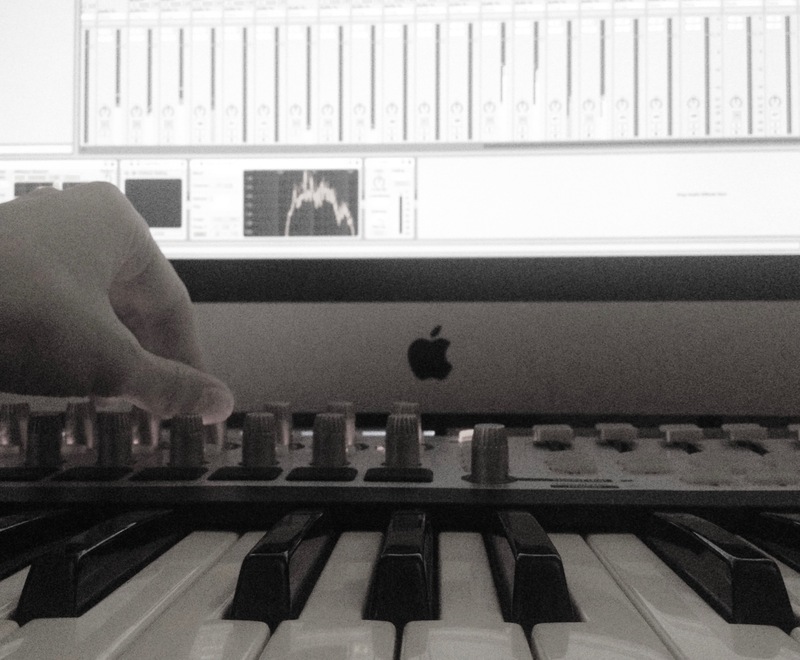 So, you need around $500—1000 just to try out what the music production is. And from $2700 to $6100 if have a serious intention to go deeper in music as a profession. And of course, all of these are just basics as the headline says: we’ve not even talked about high-end equipment, acoustic treatment, and much more. I’m not sure if these numbers will motivate or demotivate you, and I did not want either one or the other. I’ve just answered the questions and showed things as they are. 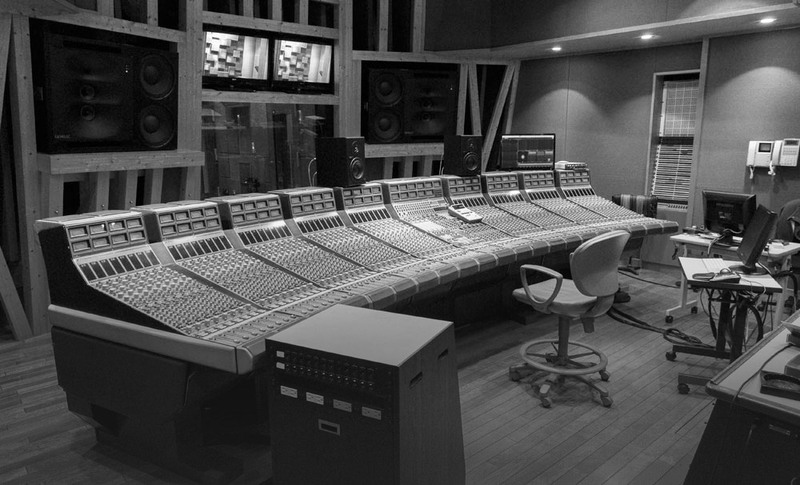 On cover image: a picture of Crescent Recording Studio in Tokyo, Japan. When I was a teen I thought that the music producer’s studio should look like this. All those hundreds of faders and knobs, exactly that’s how I imagined it when was thinking about “the studio”. Luckily, later I got to know that such equipment isn’t necessary for music production at all. Hey folks, I’d like to bring you an update from the studio to let you know what comes next. I listen to a lot of music, Progressive and Psytrance in particular, and I’ve noticed that the majority of tracks miss something what I call a “magic moment”, those melodies and tension that awake emotions. I wanted to make a track with these euphoric feelings, while keep dark and mysterious atmosphere. Yes it may sounds kinda oldschool, but I always put musical content at the first place. So here is a little teaser for you, out soon on JOOF Recordings.